In Topic: Who can develop new Duke game? Who can develop a new Duke game? Well there's some developers one could trust with it who could do something interesting with the Character/Franchise. But it would just be "a" Duke game. A TrueDukeGame  though would need a strong team of loving professionals, very tech-savvy, cutting-edgy, with real humor, with real coolness, who'd work their asses off to accomplish greatness and D3Ds interactivity x 1000. That kind of happened, and then kind of tragically failed. And will probably never ever happen again. Also, in my opinion, it would definitely need George Broussard. He didn't make Duke, but he made him what he is. Or rather was, before DNF. I know, AR and others, but I don't care. He learnt his lesson. Long before May 2009. And without him, Duke is Douche. In Topic: Story and Design problems of Max The Revenger. Alright, if youre gonna do it, go all the way. In Topic: Ugh, it just dawned on me how bad the main campaign is. And didn't the HL creators mention that DN3D is one source for inspiration? Wasn't there even a bunch of Duke3D developers working for Valve on Halflife? 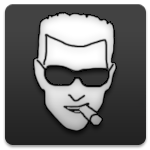 In Topic: Duke Nukem Reloaded abandoned? I'd very much like to see it. In Topic: "Duke Nukem Forever Is Irrelevant"
What's big, grey and really doesn't matter?